My previous post, is dedicated for the first time visitors of Barcelona. In our Barcelona Local Guide, we try to share as many places as we can, where you can enjoy Barcelona. But today, I want to dedicate this post, to those who is coming again and again to this marvelous city. 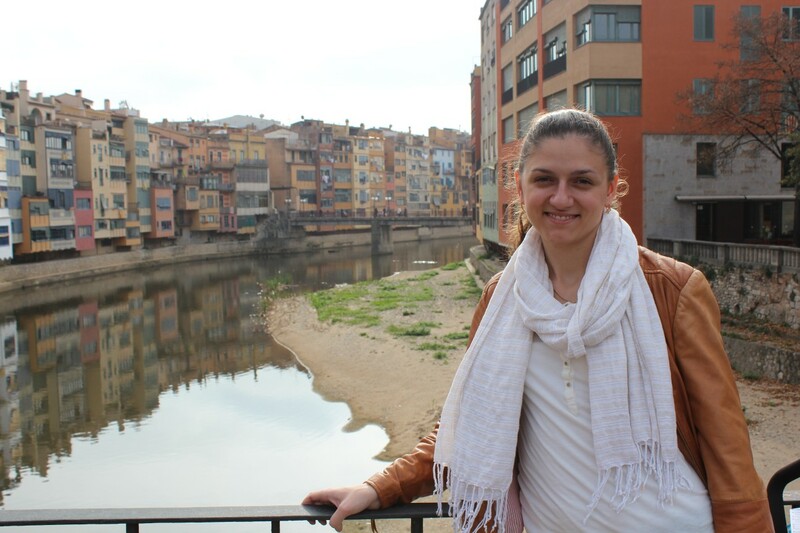 For you, I prepared, some of the coolest destinations you can go from Barcelona for only 1 day. I am sure, you will be pretty amazed by those. 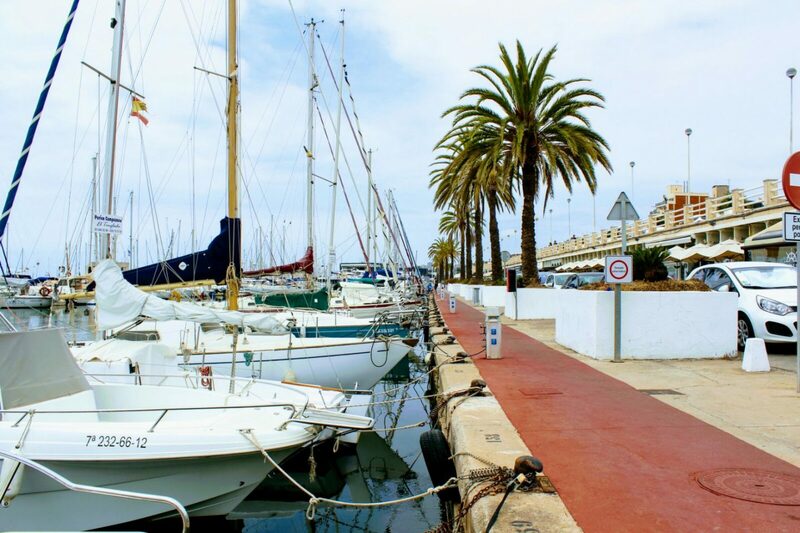 These towns and beaches were less touristy than Barcelona, and you could get a more authentic feel of the life outside Barcelona. 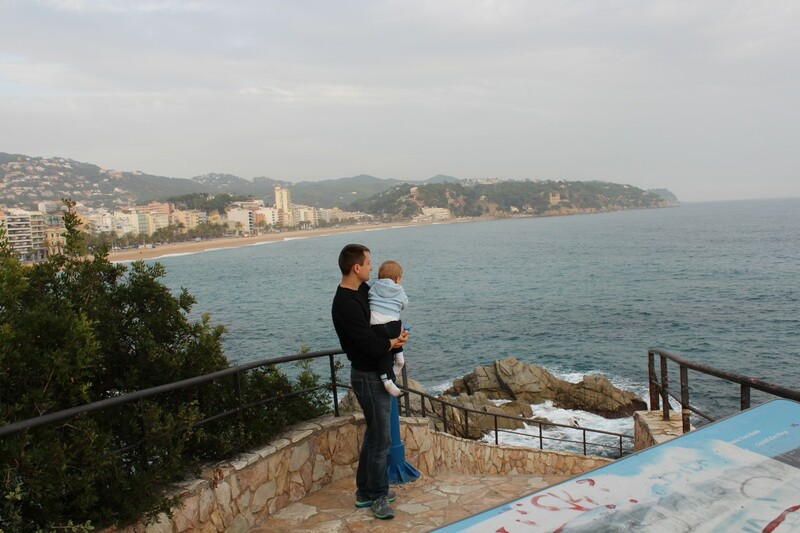 The tendency that I saw last year, that people, when look for a great beach, already choose Costa Brava to Barcelona. But, anyway, you will find that piece of intrigue of the place, I promise. 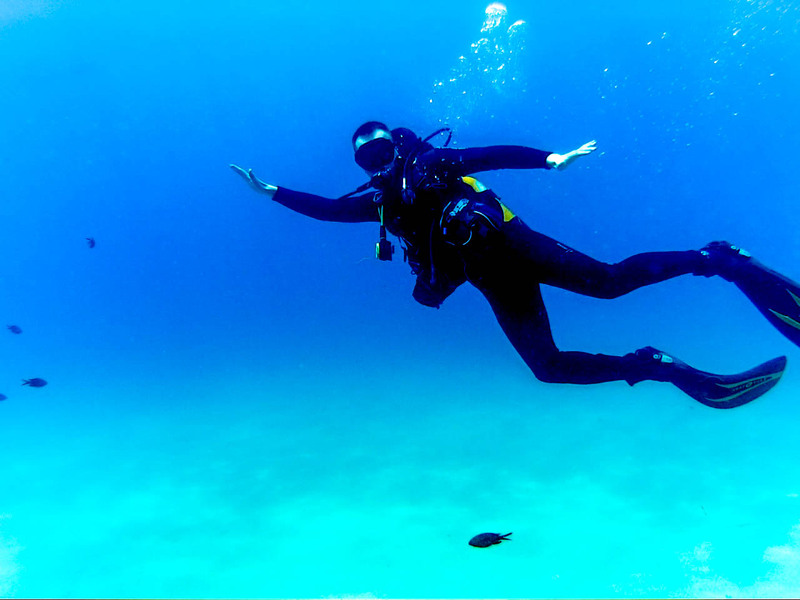 With Costa Brava in the North and cool things to do in the south, there are so many opportunities for day excursions. The fastest way to get to almost all the destinations that I will mention, you can get on train. Renfe, Spanish train system, is really well communicated. The Renfe Ave, are high speed trains. Then you have Ferrocarrils, that are trains that runs outside of Barcelona, and you can get to almost all the little villages and towns, close to Barcelona. But, the best way to enjoy your trip, for sure is to rent a car. Let’s jump into this list of 20 coolest day trips from Barcelona. But before I will begin, I will try to guide you from the closest to the farthest destinations. I won’t calculate the exact km, but more or less. You may probably heard Catalunya en Miniatura, and not the village name. 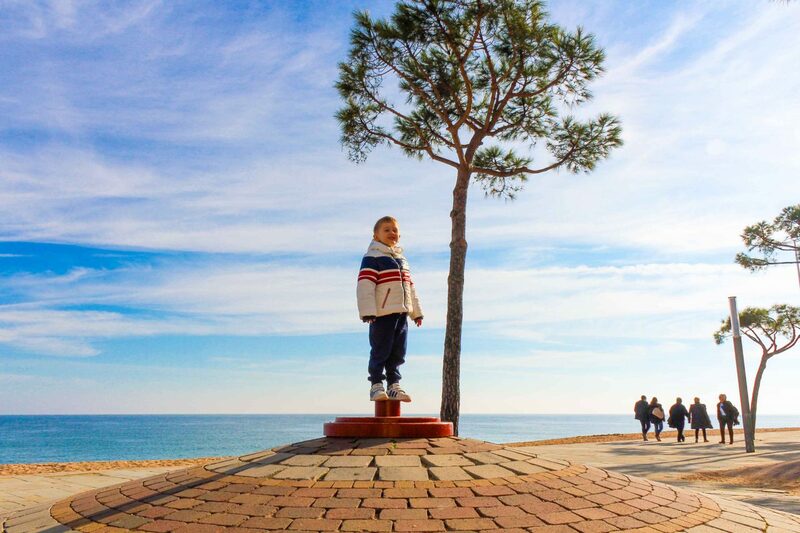 Situated only 26km away from Barcelona, this place can impress any family members. 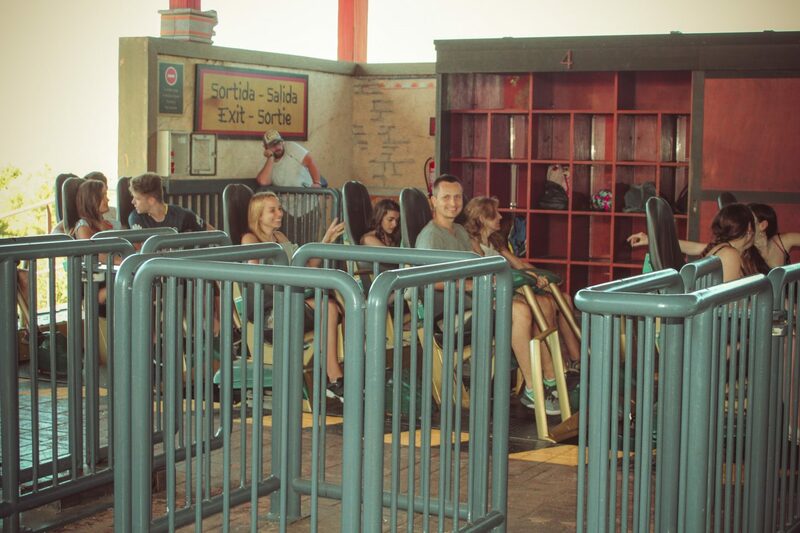 The theme park is an unique experience for children and adults. 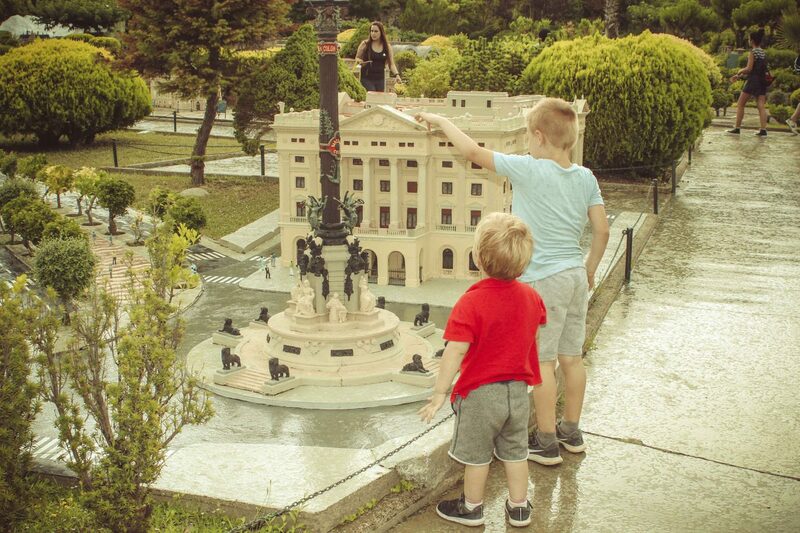 There are the most representative places of Catalonia, and other famous places of Spain with 1:25 scale models made with great detail. 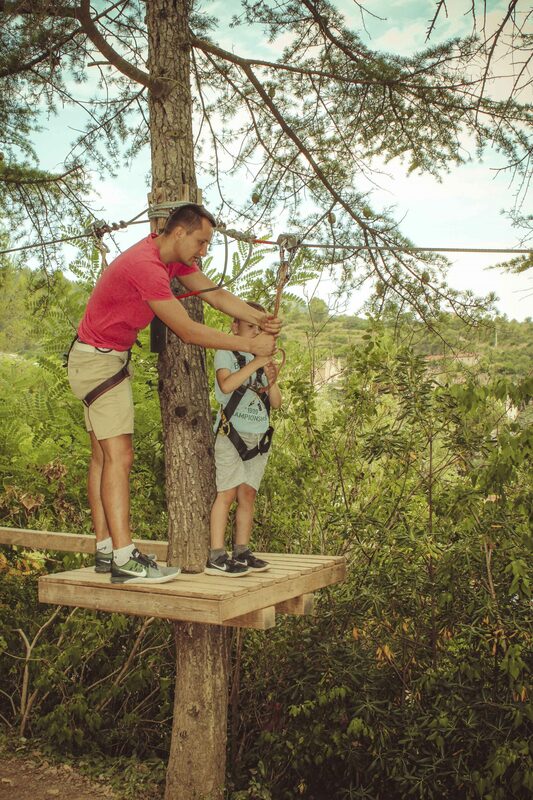 As well you can enjoy here, an adventurous experience, with adventure circuits of different levels. 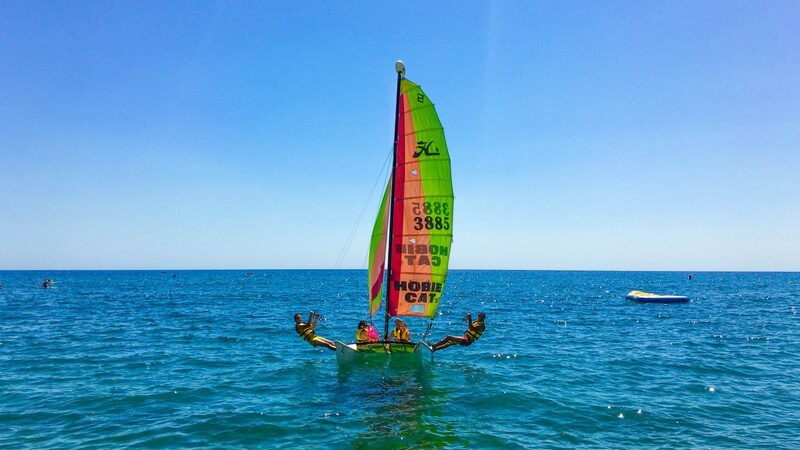 Masnou, is famous for its super large beach, Ocata beach, great summer atmosphere and very clean water. Costa Brava in general words has lots of things to offer, but to discover the gems of this region, you will have to rent a car. 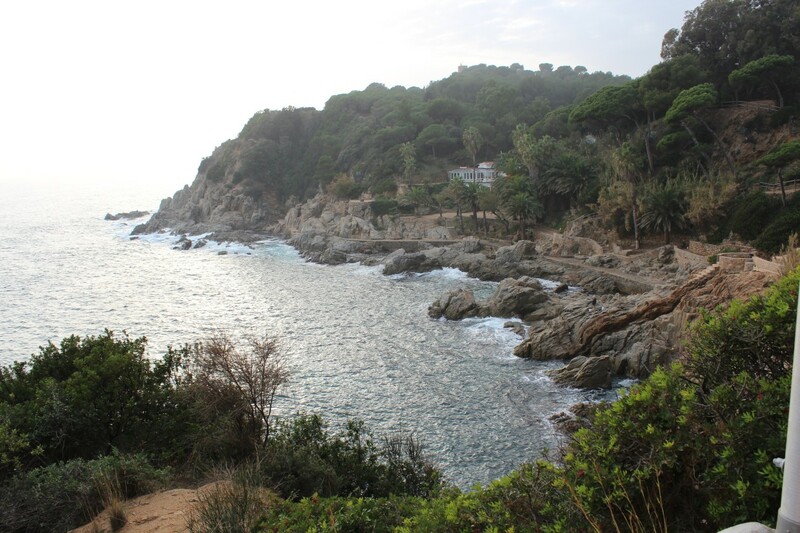 Lloret de Mar is very well know within tourist, as it has a lot to offer for those who loves nightlife. The truth is, that even if this place is very famous, within locals it is not considered as beautiful place to enjoy. 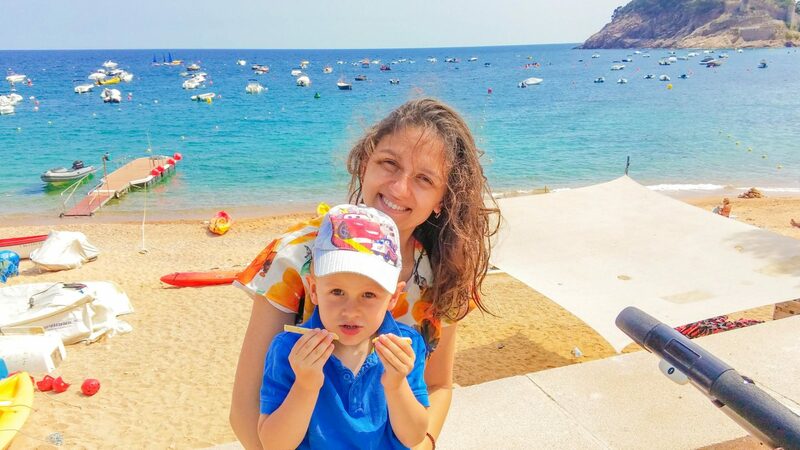 What we really loved of Lloret de Mar, it was the Aquatic Park. 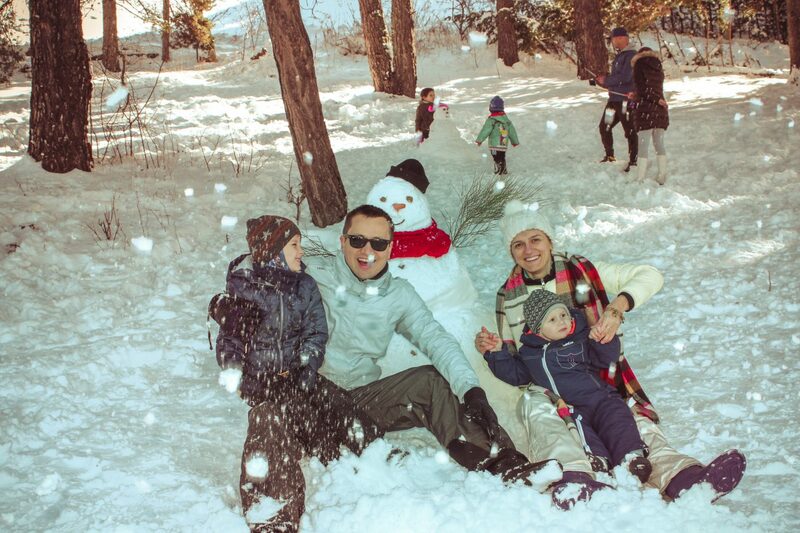 It was a super fun day, and we can’t wait our kids to grow more, to come back and enjoy it again. Another lovely beach destination, with a large beach space. Here, for sure, you won’t find too many tourists. This place is really locally known. We went here for doing catamaran, and enjoying some family parties at Chiringuito that is right on the beach. 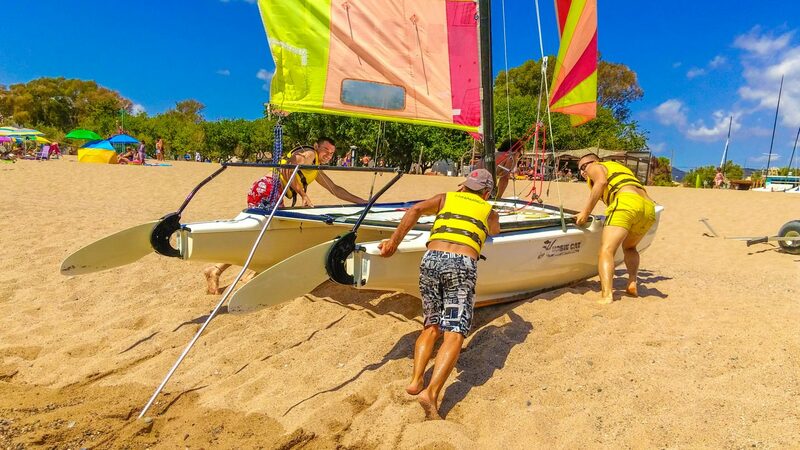 As well we did kayak and paddle surf, banana ride and other funny activities. 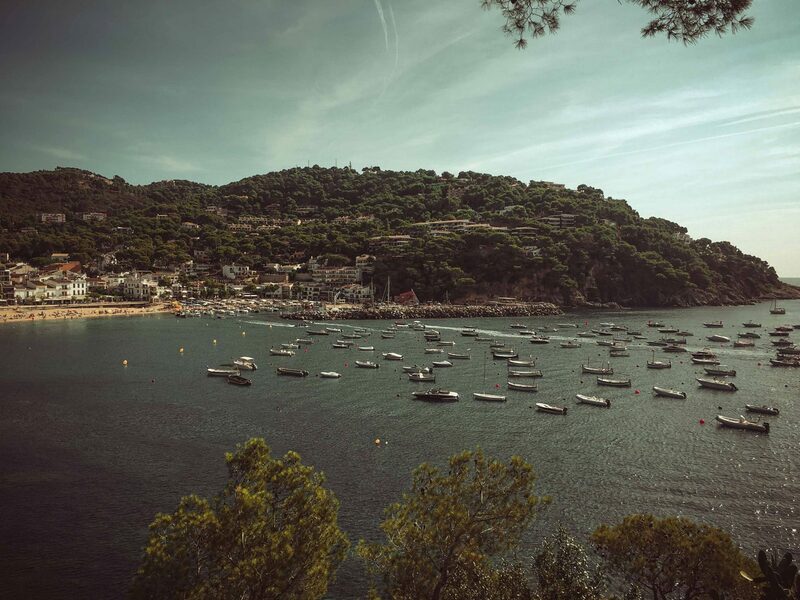 Any local, will say that Tossa de Mar is one of the prettiest towns in Costa Brava. Beaches are quite small, and if you really want to enjoy the place you have to go there early in the morning to get a good place to stay. 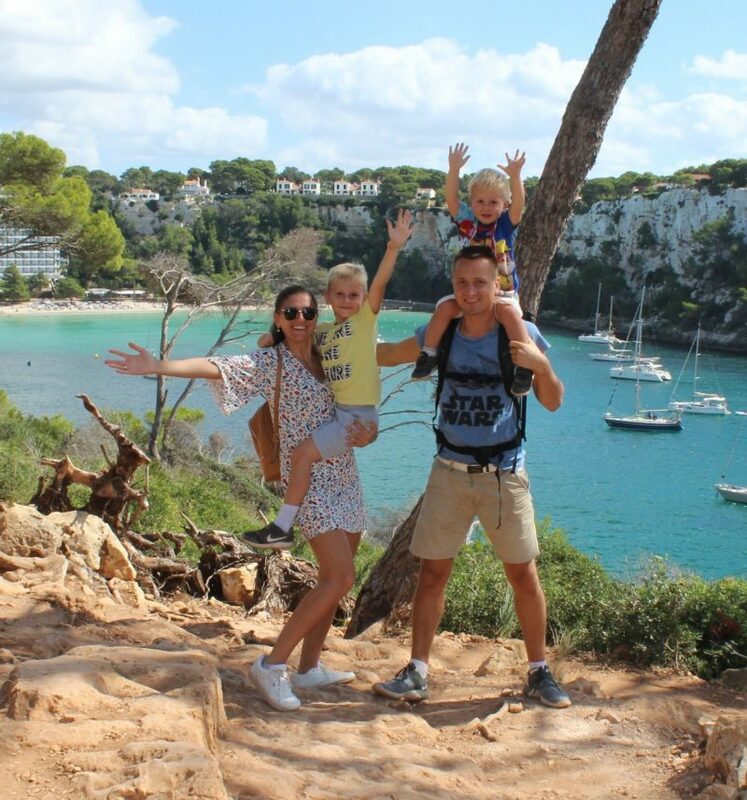 As well, there are many hidden beaches, called Calas, where you can get only hiking. Apart of the beach, you can enjoy the old town, and get high up to the castle. There is a restaurant and you can enjoy the views from the very top. If you come to Barcelona, you just can’t miss this place. Montserrat is a famous mountain, that was created as a result of specific winds in the are, that created such a spectacular form. 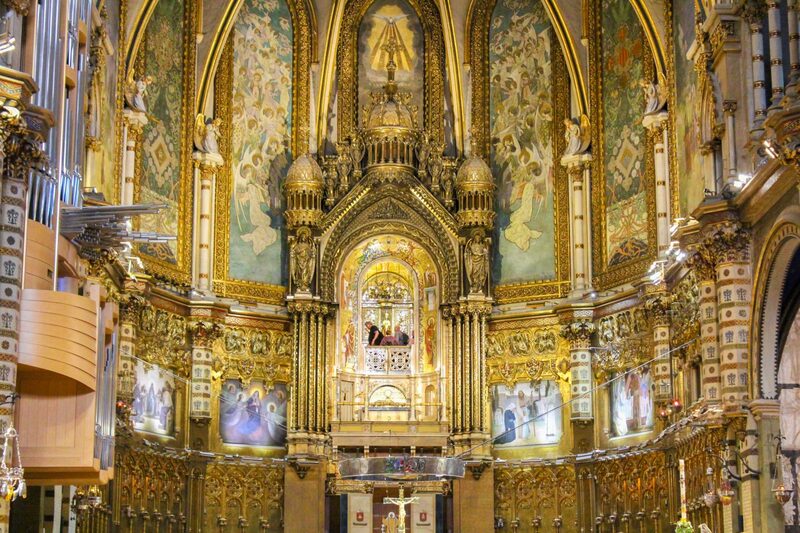 Top place to see, is Montserrat Monastery. People come here to see the legendary Black Madonna or La Moreneta. The monastery itself is a piece of art, that amaze every visitor. Montserrat Stairway to Heaven is another must-see attraction. After, gaining so much popularity on instagram world, the place is closed for climbing. You can just watch it. This structure, was devoted for the catalan philosopher, Ramon Llull. The 8 stairs represent Llul’s 8 stages of awareness: stone, flame, plant, animal, man, heaven, angel, and God. Apart of sightseeings, there are some trekking routes. We went hiking to one of those, and we hiked almost for 5 or 7 km, when Damian was only 2. So, there was us 2 and a stroller with a kids. Not an easy task, but the views just worth it. 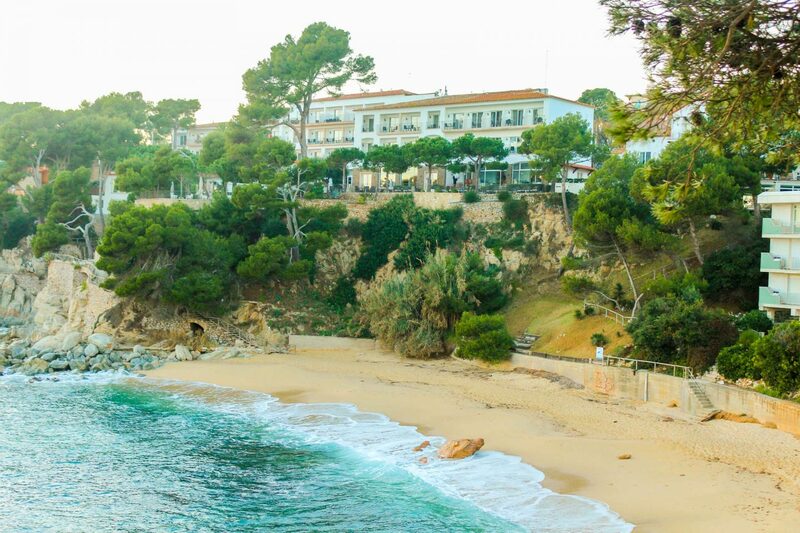 One of the prettiest beaches on the south of Barcelona can be found here. The town is a resort town itself and it is only 25-30 km away from Barcelona. 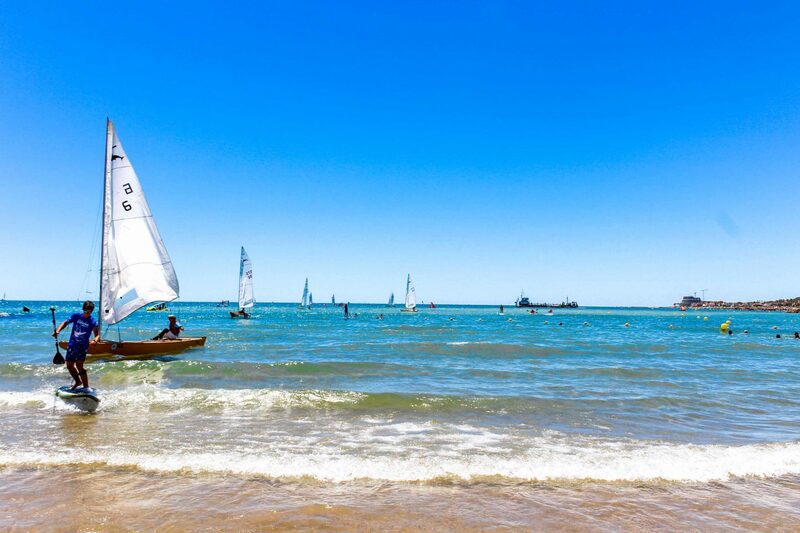 Here you can find more than 20 beaches, and almost all are perfect for small kids. As in any other city or town, there is an old part and it can’t be missed. Tarragona is almost 60 km south of Barcelona. This city is famous for Roman ruins. Visiting this city is like going back in centuries. 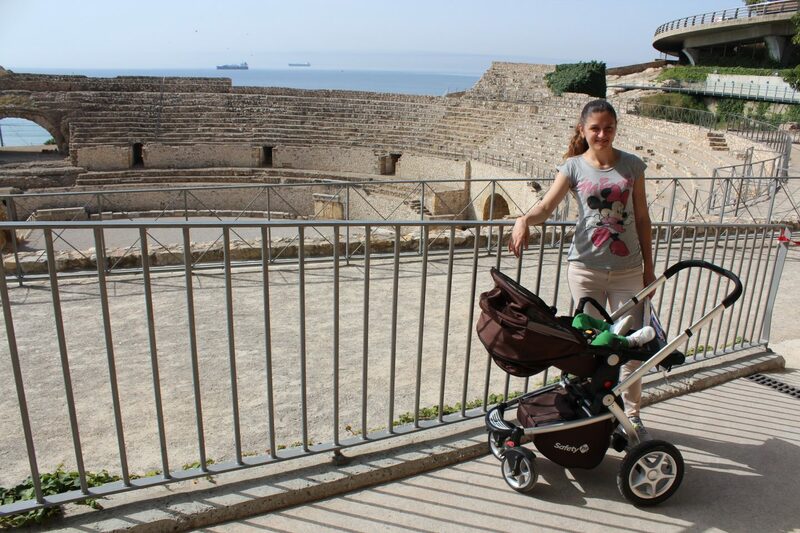 Tarragona amphitheatre is UNESCO World Heritage site and is a decently-preserved Roman amphitheatre overlooking the beach. 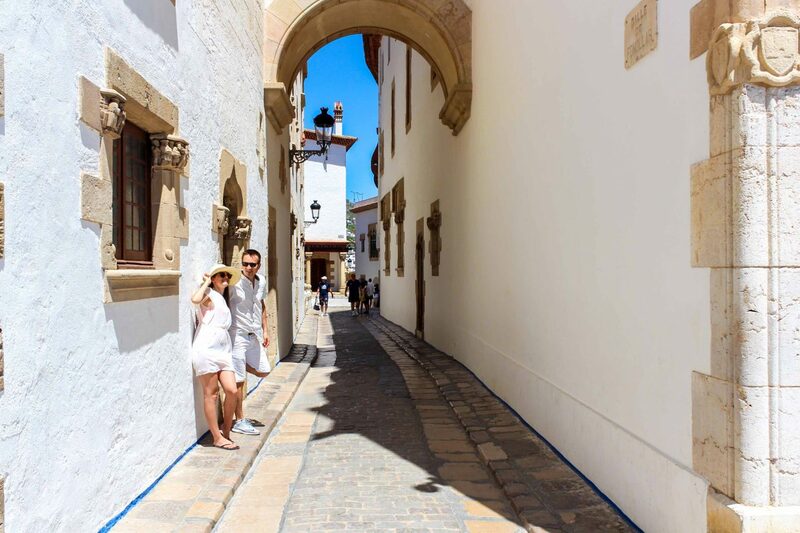 Casco Antiguo or Old Town of Tarragona will inspire you to travel back in history. Salou itself is not famous at all. 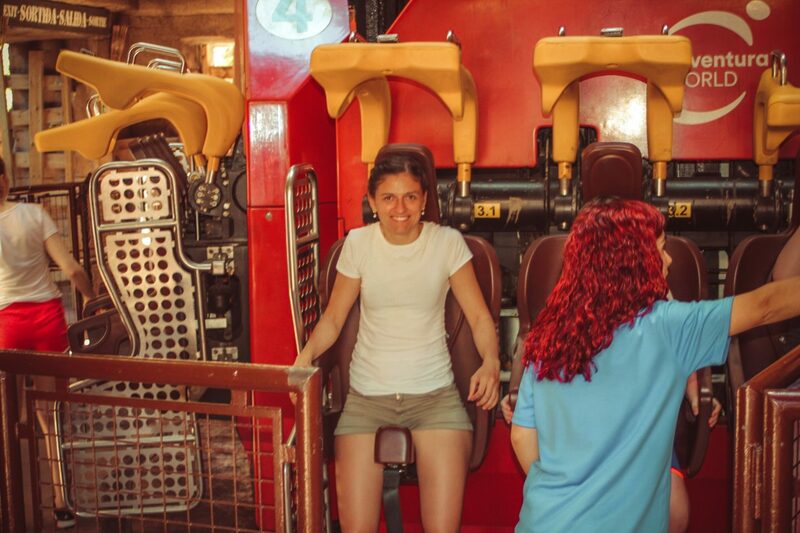 But, due to PortAventura amusement park, everybody knows the place. The town is small and you cannot see anything specific there. But, believe me, you will come back fulfilled with adrenaline. We got there several times by car, but there is a special price for the train and is well connected. 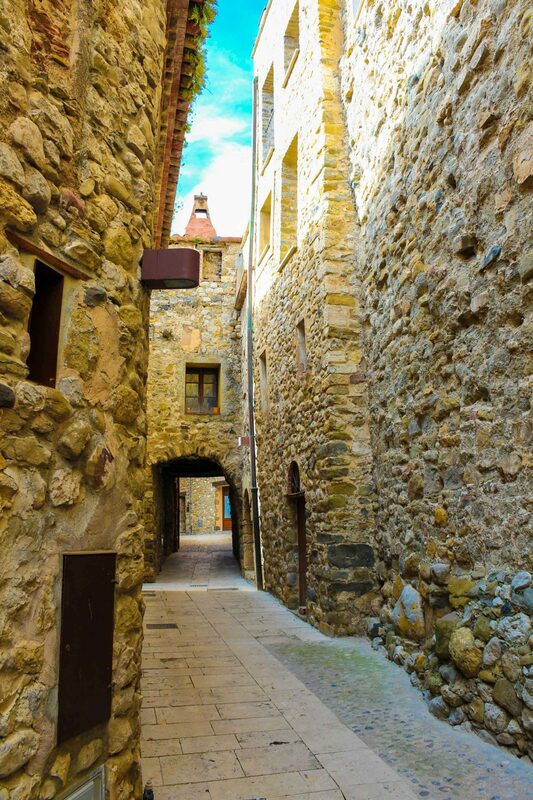 Girona is an historical city, located almost 70-80 km north to Barcelona. It is a very colorful city and somehow will remember you one of the areas of Florence. We went there by car, and in only 1h you can get there. The city of Girona became famous for the small and extravagant monastery, Monestir de Sant Pere de Galligants, that appears on Game of Thrones filming. 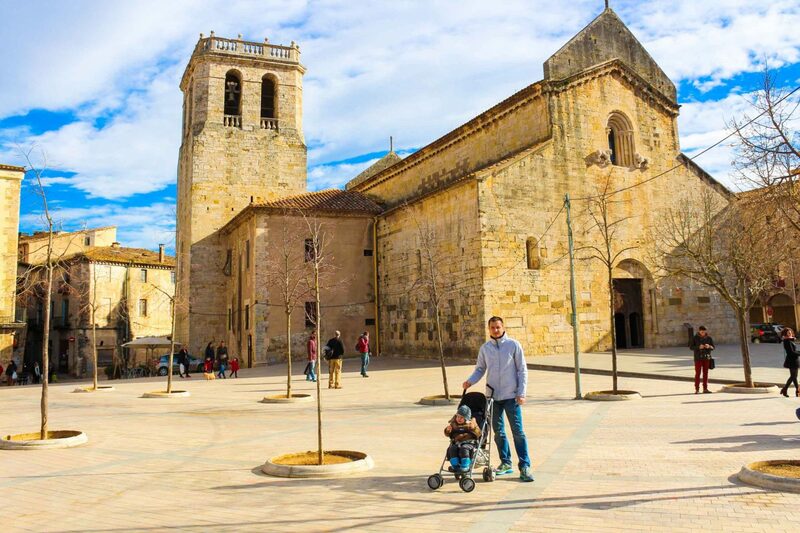 Another famous place, where every tourist goes is Girona Cathedral. It took almost 800 years to be built. 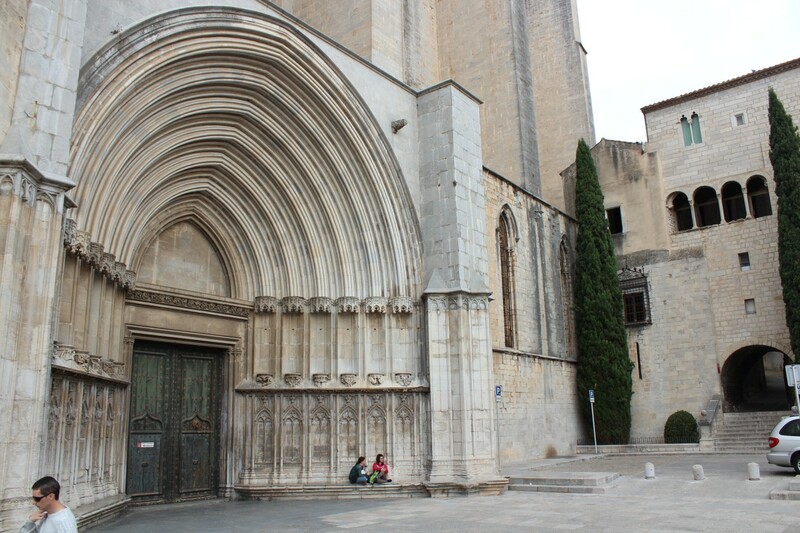 And the front space of it was used as starting point of Cercei Lannister’s walk of shame in Game of thrones. 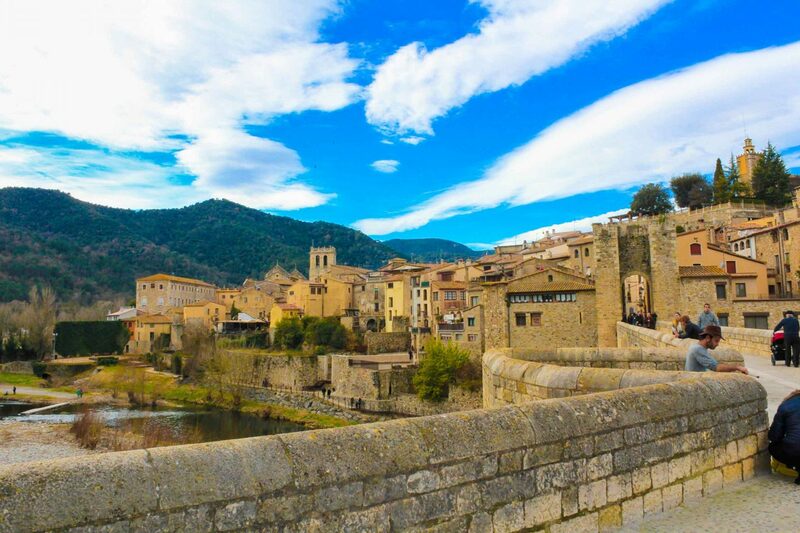 As well Girona is very famous for its rivers, bridges and really brightly-colored houses. Besalu is well known medieval village. Lot’s of instagrammers went there and enjoyed the place. During autumn and spring time, there are few tourists, and you can enjoy the city in a quiet atmosphere. 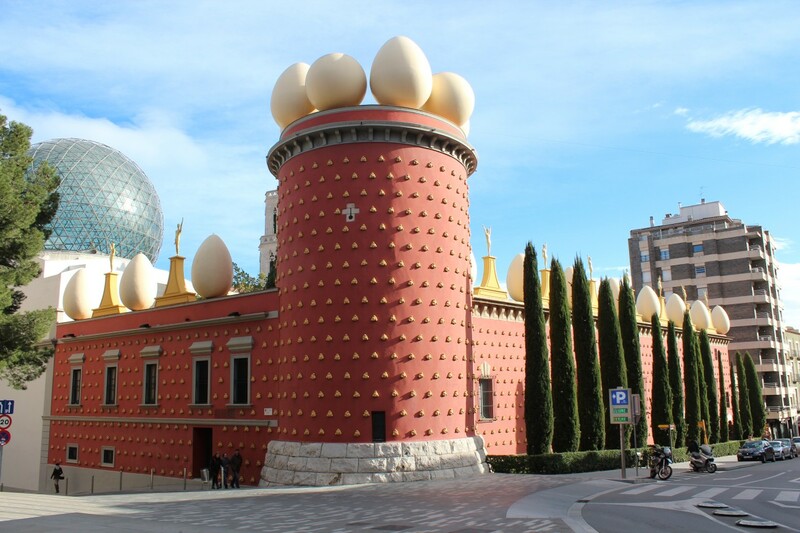 Figueres is the hometown of Salvador Dali. Here, you can find the famous museum Gala Salvador Dali. So, it is the must-see place to visit in the city. 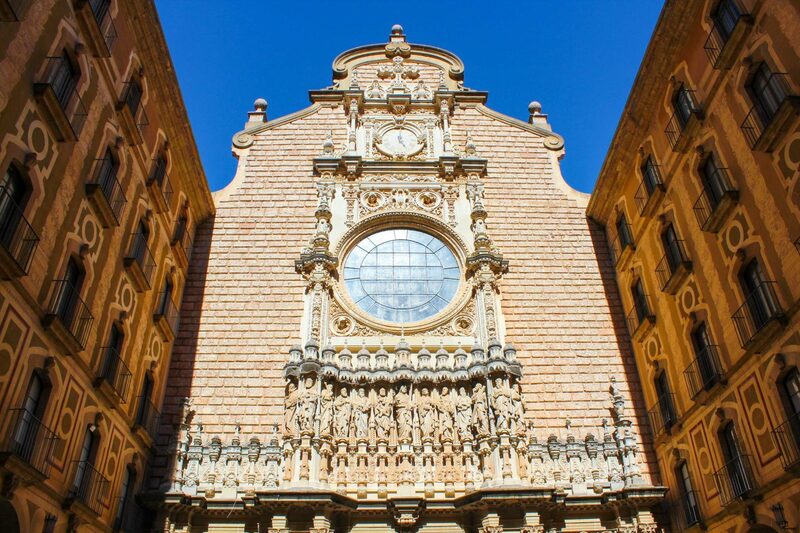 After visiting it, you can stroll through the Old Town and the Ferran Castle. 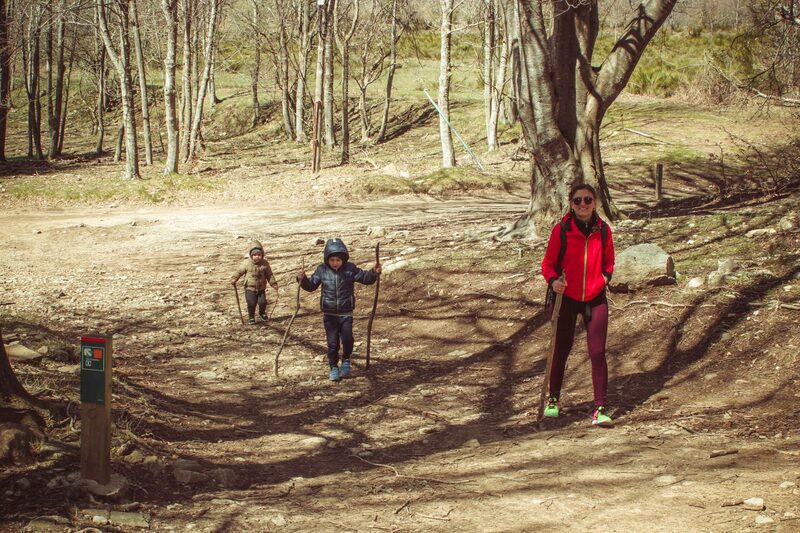 Montseny is for hiking lovers and nature lovers. It is not a village or town. But it is a route through the forest, actually different routes, from small to large where you can enjoy the real beauty of Mother Nature. 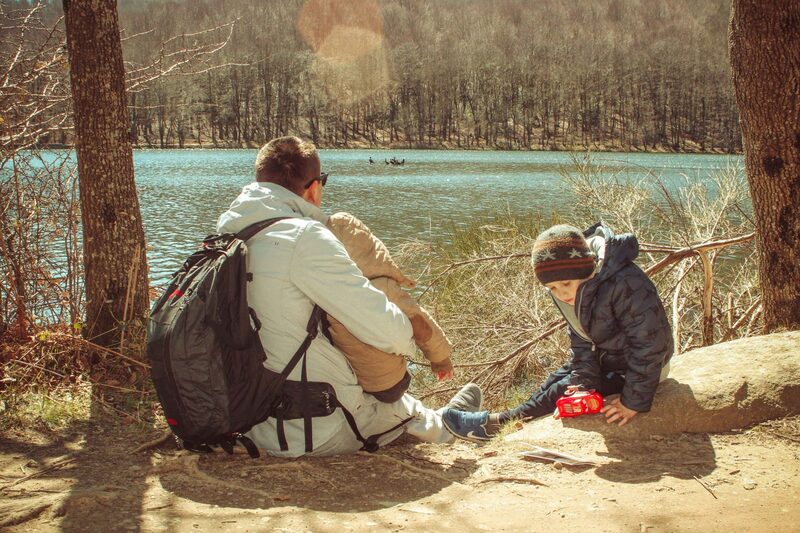 Montseny is only 70 km away from Barcelona, but you will need a car to get there. La Molina is a ski resort, and it is open seasonally. You can enjoy this place only in winter time. There are several hotels and private houses, but as well are working seasonally. 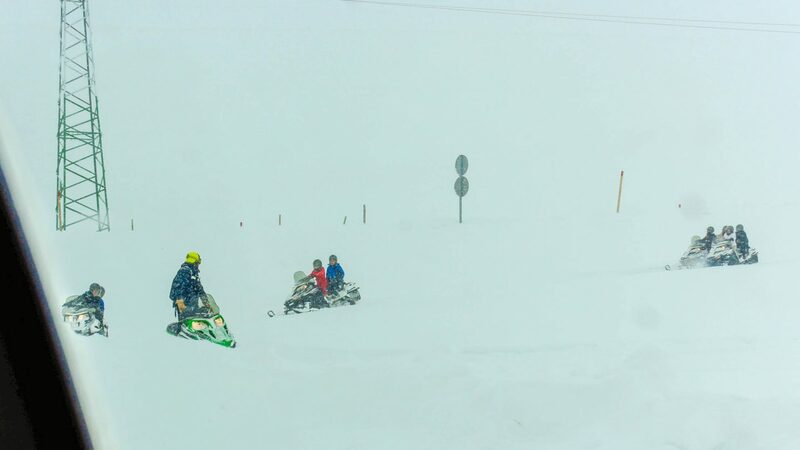 The best part of this ski resort, that you can go there even if there is no snow. The snow is made artificially. Platja D’Aro it is another Costa Brava gem, that has one large beach, and many small ones, where you can get only hiking. There you can stay in such a pretty hotel la Park Hotel San Jorge, where you can have really spectacular views over the sea. 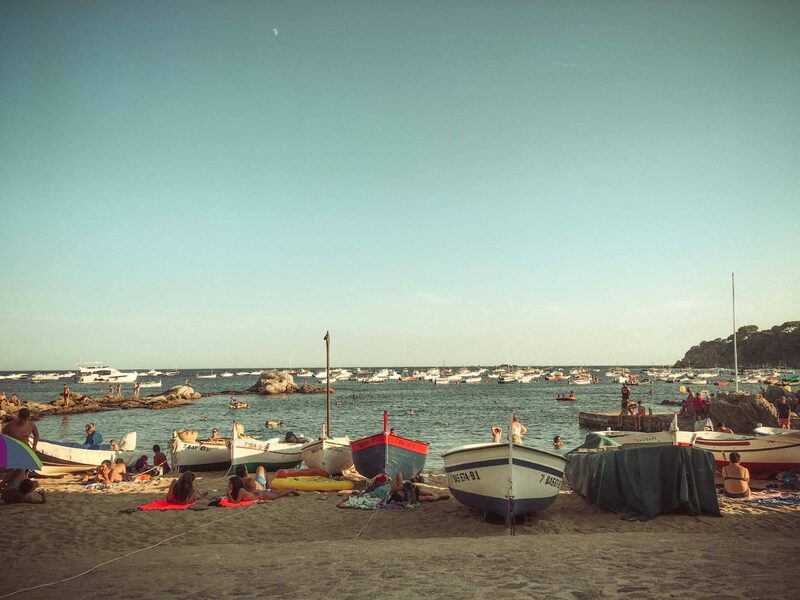 Calella de Palafrugell it is a posh hidden gem of Costa Brava, where you will enjoy pretty cool beaches, with amazing hills and of course lots of delicious food. It is considered a fisher village, where restaurants prepare only fresh fish dishes. I want to aware you, that restaurants are expensive there. 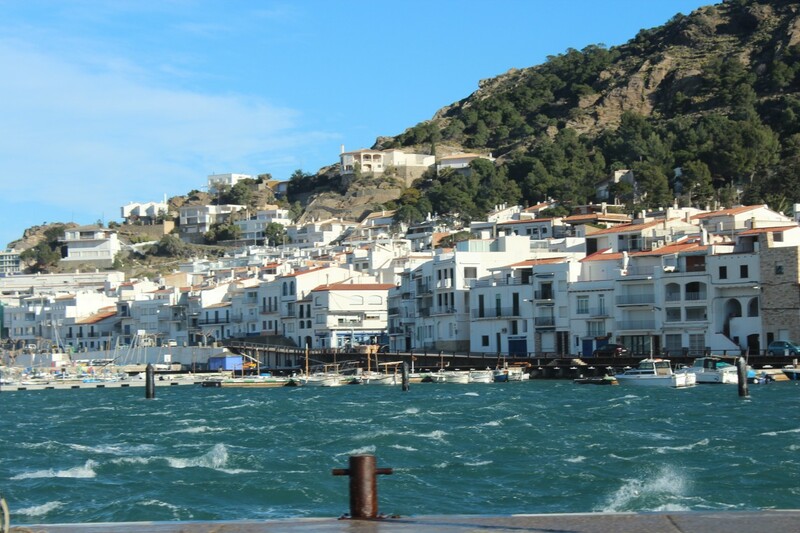 Cadaques is one of the furthest gems of Costa Brava, it is close to French border. We went only once there, and in winter time, and it was very windy. It is marvelous, imagine that if this place amazed us in winter and very windy time, how it has to be in a summer and warm day. It is famous for the beaches and pure water. 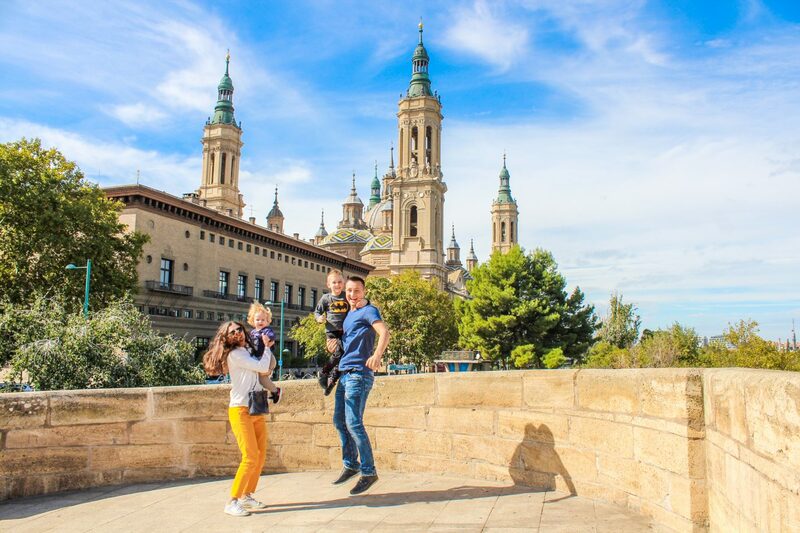 If more of the destinations are in Catalonia region, then Zaragoza is considered Aragon already. And as any region, has its own vibes. The city is famous for the Fiesta del Pilar, which takes place every October. During 1 week, there are parades, concerts, fireworks. We took our car, and we get there in 2-3h. 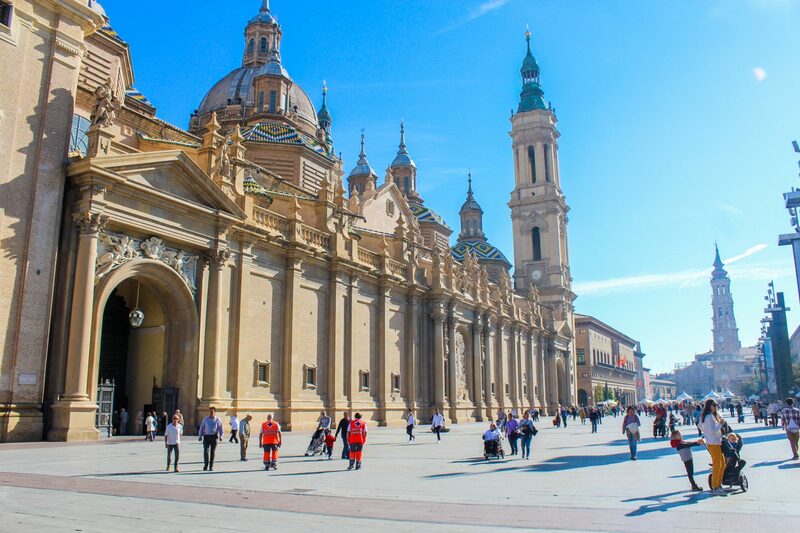 Apart of strolling through the city center, and eat Spanish famous tapas, we entered Basilica of Our Lady of Pilar. This big church is overlooking the Ebro River, and has spectacular frescas inside. We enjoyed looking to the Ebro River, and watching some of people doing canoy. 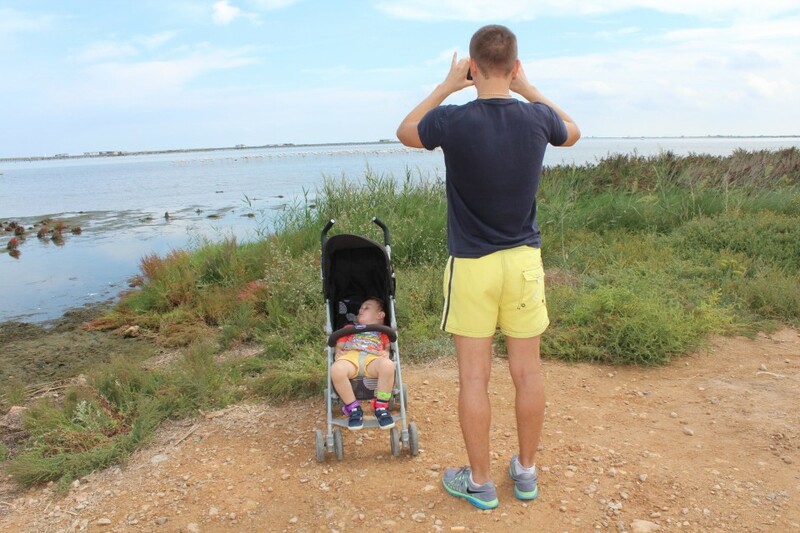 A natural park that is only 3h from Barcelona with thousands of different bird species like pink flamingos (those were grey, when we saw them). As well you can enjoy rice fields and beaches. This place was enjoyed only by us 2, as Damian was sleeping while we enjoyed the place, and Marc was only in plans. Andorra is already, another country. It is the furthest place to go for 1 day, and I really advice you to go there with a guided route or by car. In any case, even if I propose you to visit it in only 1 day, you won’t regret if you will stay there for a longer time. This country is really tine, and you will find it in the Pyrenees Mountains between Spain and France. It is well known for the ski resort and marvelous sightseeings. Spanish people, go there for shopping, as the taxes are very low. 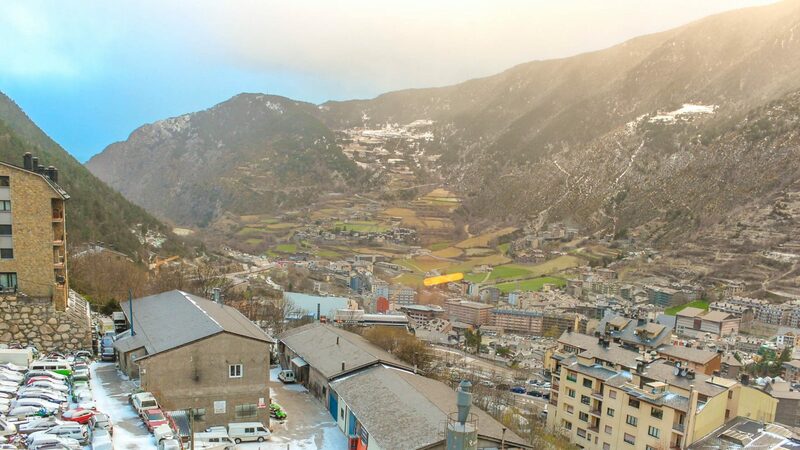 Andorra la Vella, is the capital of the country, and it is just 1 main street and few smaller streets. You can see it in less than 1 hour. Summary of 20 coolest day trips from Barcelona. I am sure you have already took some of the places into account for your next trip to Barcelona. 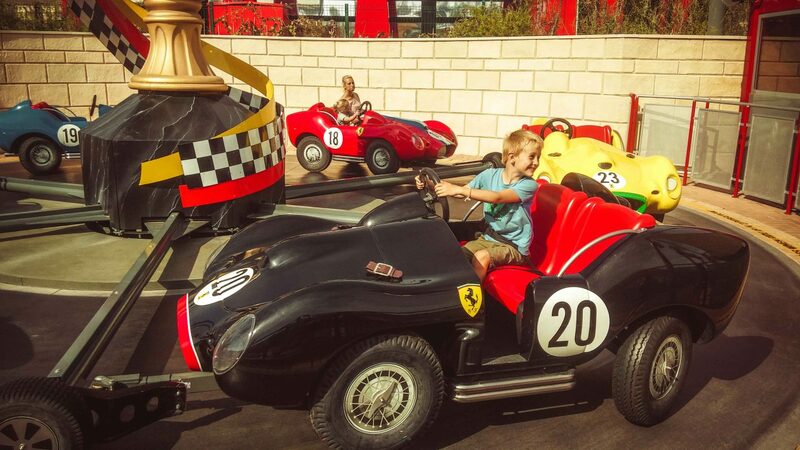 Pack your family, rent a car and enjoy the ride. Barcelona is absolutely stunning and the surroundings are certainly worth it to check out too. Of course, lots of these trips, can be enjoyed more than 1 day, what I really advice you. If you have any questions, please contact us. We will love to help you. Previous Post Barcelona bucket list: walking tour of Barcelona. 10 must see places in Barcelona. 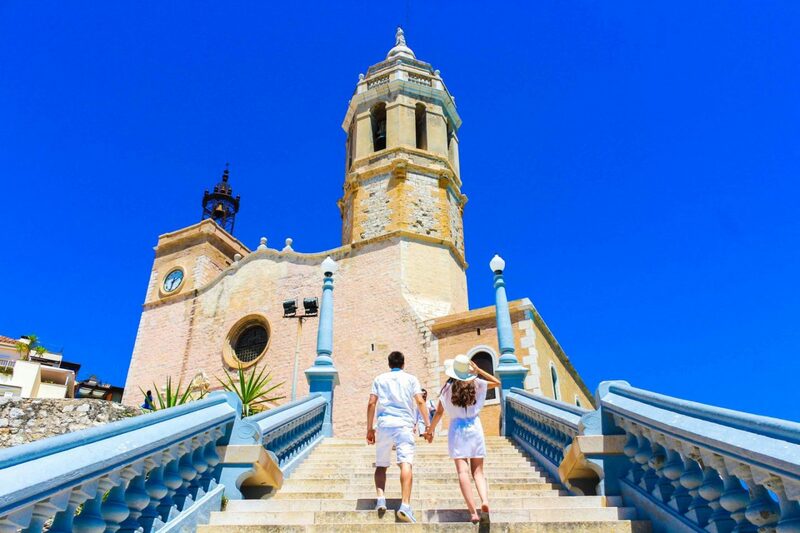 Next Post Top 5 romantic things to do with your partner in Barcelona. Love is in the air in Barcelona. Lots of great places to check out! Thank you so much for your insight. I think my whole family would enjoy Torrelles de Llobregat. Your photos are stunning! 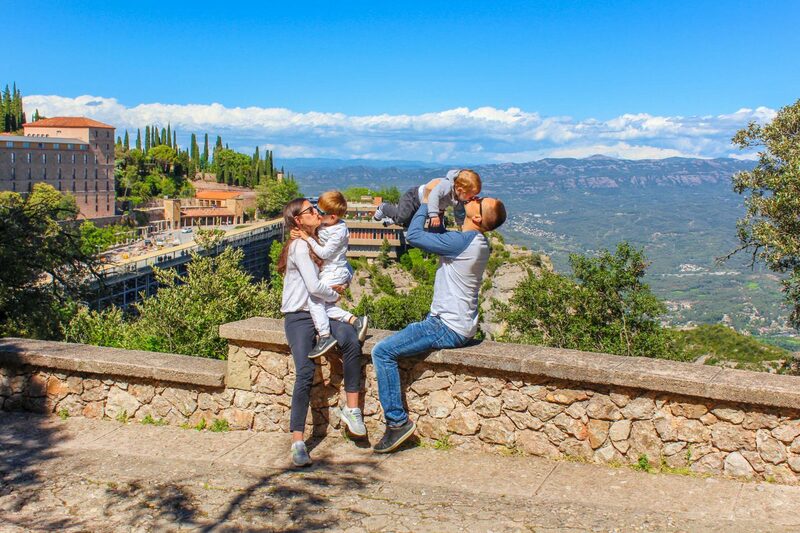 I wouldn’t think of a place like that having so many kid friendly attractions but it looks from the photos like they’d have a ball! Great post, so detailed and engaging! I want to go to Barcelona so much. These trips look amazing. I’ve done Montserrat, Sitges, and Tarragona, the first two when I lived in Barcelona. The three were amazing little adventures. Yay, we live here for almost 9 years, and still find places where we didn´t go. Spain is just sooooo beautiful.